Disclosure: Product received for review consideration. No compensation provided. All opinions are my own and are honest. 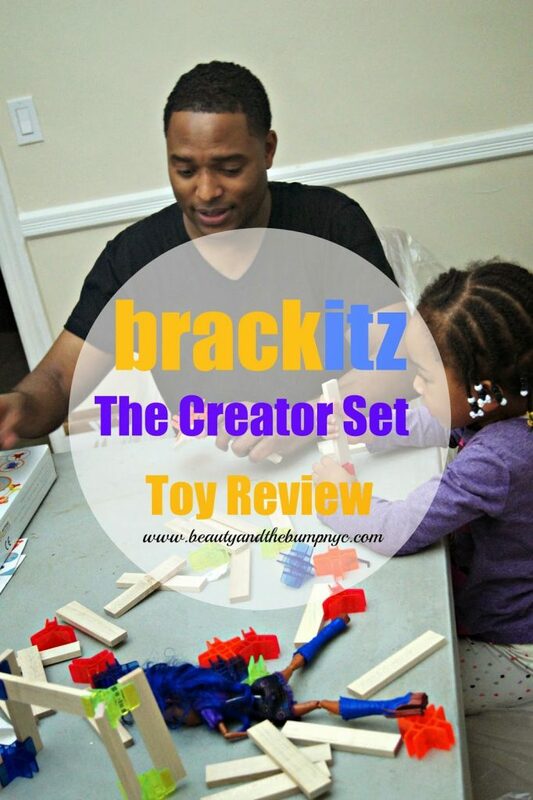 to reviewing the brackitz Creator Set. 90- and 120-degree angle connectors in iridescent green, blue, red, and orange. 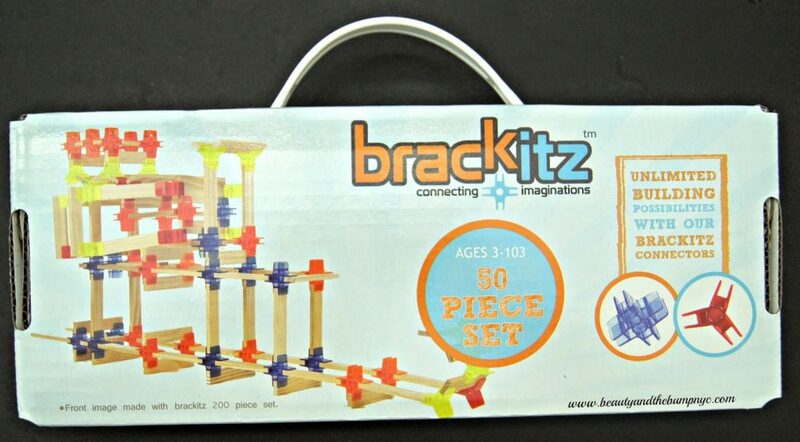 The perfect starter open-ended construction toy, the award-winning Creator Set includes 30 planks and 20 easily-manipulated brackitz connectors, enabling builders big and small to construct amazing, durable, 3-D structures, all on their own! Unrestricted by step-by-step instructions, the Creator Set encourages undirected, open-ended creativity, building imagination and putting real-life math and science principles into play! 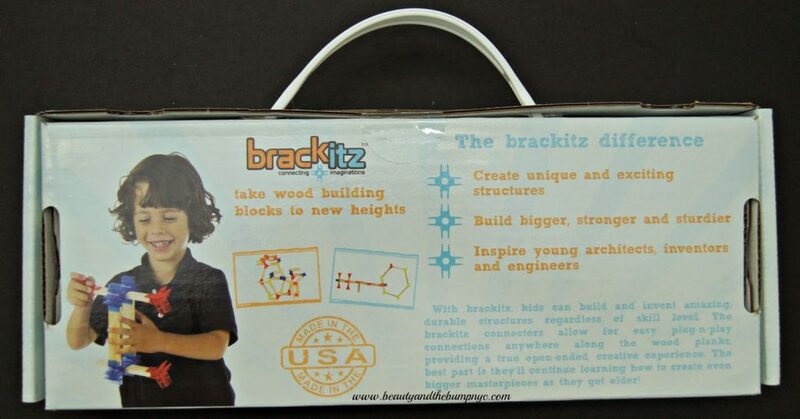 Build on your child’s love of blocks, with the brackitz Creator Set! At the time, our daughter was close to turning four, and even though brackitz suggests the set is for any age, we watched our daughter struggle to put the pieces inside of the connectors. But, that doesn’t mean she didn’t like the product because she did. However, the wooden planks have sharp edges, which hurt her. 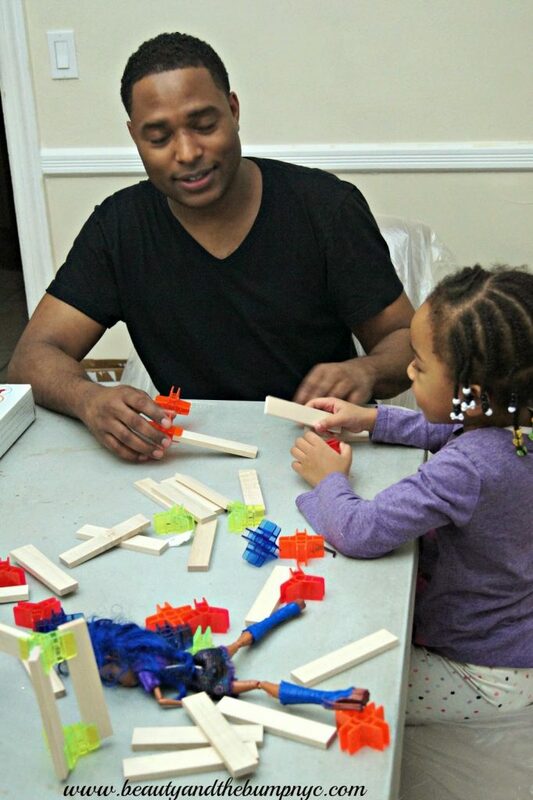 Even my husband had difficulty squeezing the planks into the connectors when building with our daughter. That said, we don’t let her play with the brackitz Creator Set that much. build as large as their imaginations can take them. Have you tried any of the brackitz products?